Milano was one year after the capital city of design. 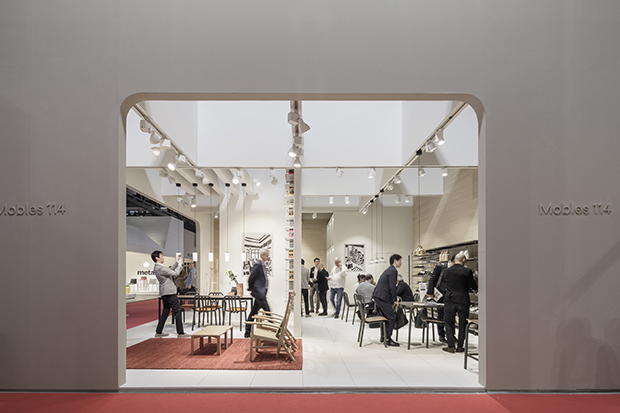 Salone del Mobile 57th edition closed its doors last 22nd April, after presenting novelties and new features in furniture. Mobles 114 was there. 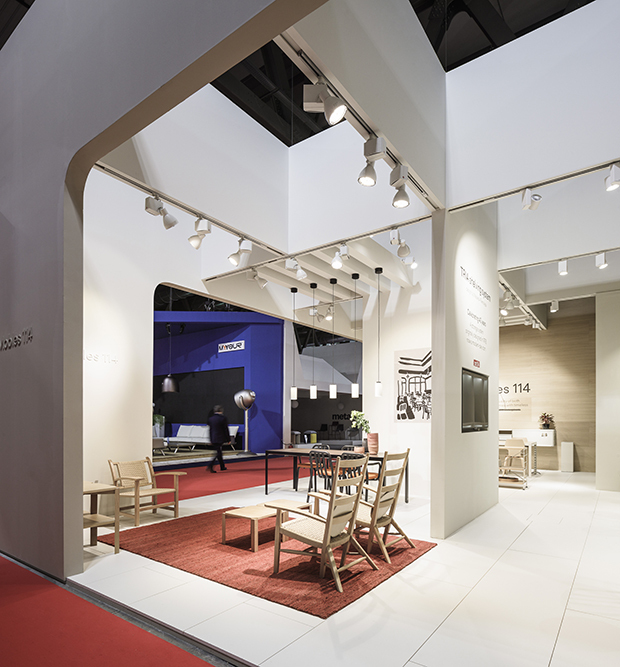 So Mobles 114 stand could be visited at D09 Hall 10. Designed once again by Stefano Colli, it showed all the collection with an special accent on the novelties 2018. With a very special atrezzo, which had some special pieces by designers such as Eugeni Quitllet and Martín Azúa. And also the collaboration of brands like Santa & Cole, Nanimarquina, Teixidors and apparatu. 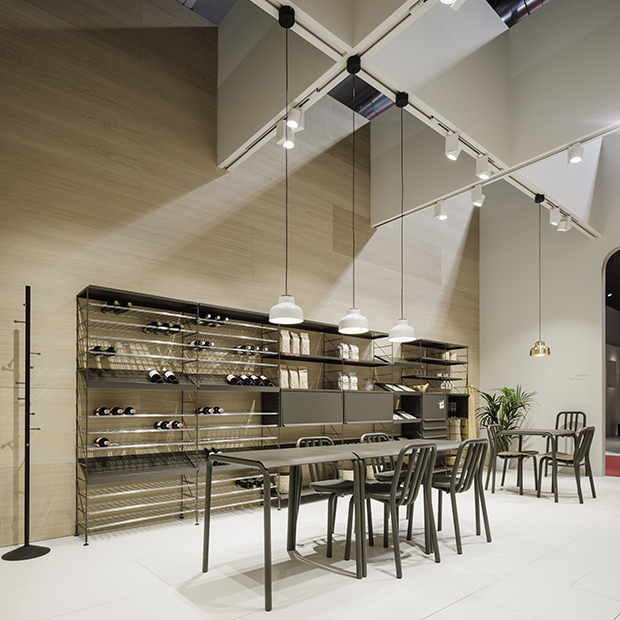 The new square version of Tube table has the round shape that’s characteristic of the Tube family, and also means that one table can be placed directly next to another, creating a single table that can be as large as you want. Hardwearing and stackable, it can be used both indoors and outdoors. A table whose formal characteristics make it ideal for urban areas, terraces and gardens, both at home and bars and restaurants. Eugeni Quitllet’s quick, intelligent approach to creativity is reflected in this version of the Tube chair with a wooden seat. High quality wood has been selected for the seat and the smooth curves ensure great comfort. Light aluminium tubing combined with a wooden seat make this Tube wood chair a cosy version for indoors. Tube textile is the upholstered version of the Tube chair. The softness of foam adds extra comfort and ergonomic shape to the chair, both with and without arms. Designed for inside the home and also restaurants, the range of finishes and colours can be widened with high quality but hardwearing fabrics. The Pey table has been designed to create a large table with just 4 legs; the largest of which is 280x180x74. It has a light but strong aluminium frame that’s easy to assemble. The table top is made from hardwearing, compact laminate just 8 mm thick. Light materials which, thanks to their toughness and small volume, help to promote sustainable consumption. Pey is a versatile table that discreetly and elegantly furnishes both public areas and the home, with compact laminate finishes in oak, walnut, white or black. Pey central is a table with a round top and base. A simple solution with a streamlined design that suits both contemporary and classic interiors. A table made from hardwearing materials: tops of compact laminate and a painted steel base, allowing intensive use with minimum maintenance. it doesn’t need to be attached to the wall, so you don’t have to make any holes, can place the shelves in front of a mirror-glass or divide up a larger space. 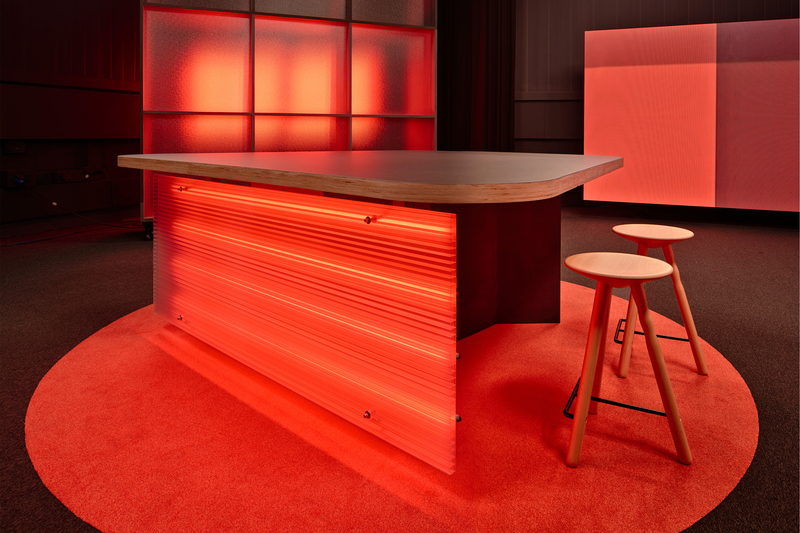 Tria freestanding makes it even easier to arrange interiors at home, in the office or any space you wish to create. Tria is light, simple, practical and has all the features and accessories required to meet your needs. It can be assembled with one or two fronts. 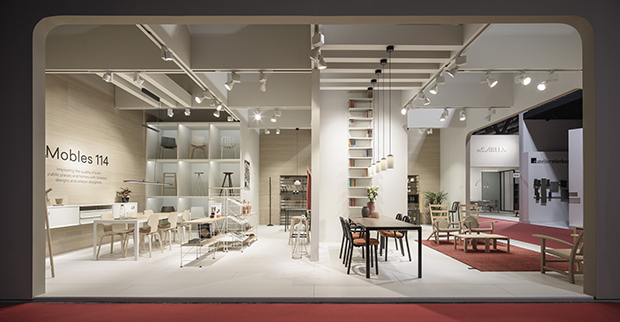 Tria provides an effective shelving system for all areas of the home: living room, kitchen, bathroom, dressing room, children’s bedrooms, study; as well as work spaces such as offices, libraries, etc. After 40 years on the market, Tria shelving has become an icon for contemporary shelves. 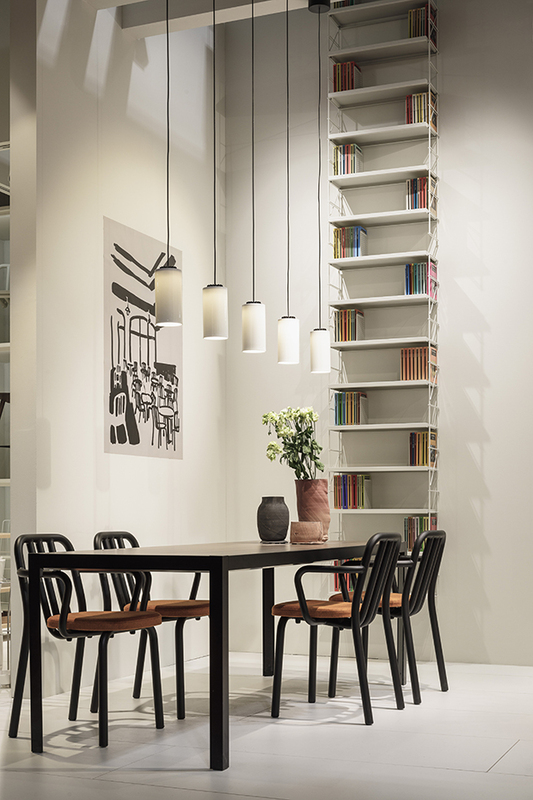 Designed and made 100% in Barcelona, Tria shelving is perfect for a wide range of cultures and lifestyles. TRIA freestanding version is compatible with the new 36 cm deep floor version and is compatible with all TRIA cupboards, drawers and accessories. 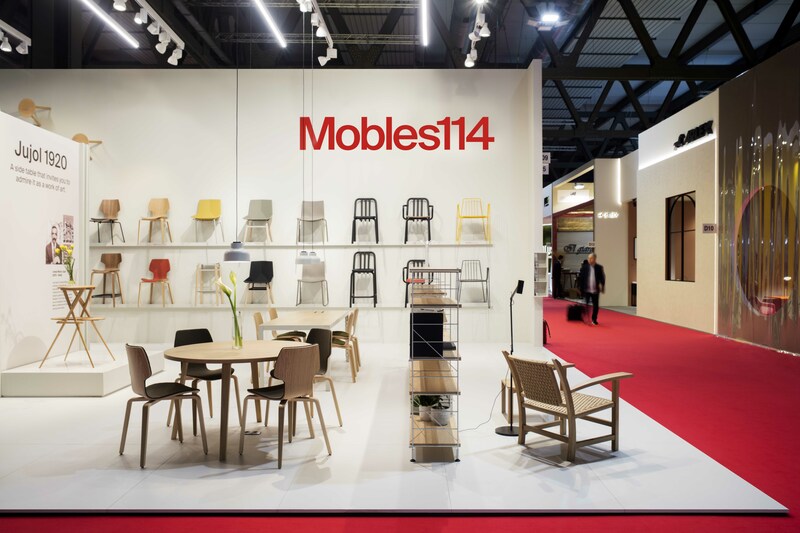 The result of collaboration between different designers, together with the relaunch of objects designed several years ago, ensure this catalogue of accessories is the perfect complement for the Mobles 114 collection. These objects have been selected and launched out of a great respect for a job well done. Useful, practical objects produced with the aim of achieving a close relationship with their users.